Displayed with the permission of the producer The DVD "The Forgotten Genocide" released in 2010 and produced by Ann Morrison contains the reflections of those who actually went through the turmoil and experienced the horrors involved. In my personnel opinion, an excellent DVD which would give those wishing to understand more about what happened a valuable insight into what these people went through. 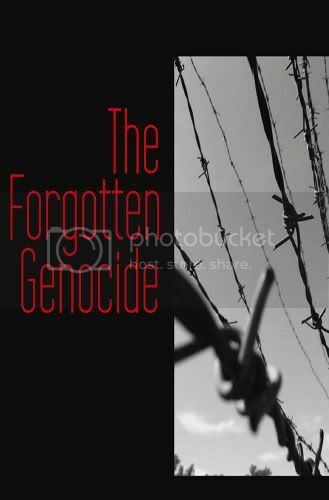 It can be obtained at "The Forgotten Genocide" Offical Website  Whether "new" to the topic, furthering your interest in it, or having been someone affected directly or indirectly by it, I humbly suggest that this film is worth watching. An extremely moving record of the trials and tribulations that these ethnic German people were faced with. Not statistics, numbers, nor opinions; just, from the mouths of the people themselves, the experiences endured. Many (though obviously a number that is reducing with the years) Ethnic Germans have memories of what happened in the years immediately after World War Two. This section aims to focus on such memories using, for example, links to other Websites such as YouTube, amongst other things as a means of connecting to such memories.